NEWPORT BEACH, Calif., December 13, 2017	(Newswire.com) - The “Professional Football League” is pleased to announce its inaugural season for Spring 2018. Football teams from franchise cities throughout the United States will be led onto the field of battle by eight renowned, highly decorated and legendary head coaches, including Dave Campo: “Three Time NFL Champion & National College Champion”; Ted Cottrell: MAC’s 2012 Inaugural Hall of Fame Class Inductee, Inaugural Honoree of MAC “ALL-Century” Team, 1969 HOF Inductee Delaware Valley University & Innovator of the “3-4 Defense”; University of Florida & Penn State Living legend Galen Hall: Two-Time National Champion as OC and National Championship Head Coach, recently enshrined into Florida-Georgia Football Hall of Fame; Darren Arbet: Four-time Arena League Champion & 2011 HOF inductee; Norm Chow: Two Time National Champion Offense Coordinator & Coach of four Heisman Trophy winners (Detmer, Palmer, Leinart, and Bush) who is also commonly known as both a QB and OC mastermind; Wayne “Buddy” Geis: an Innovative College and Pro Quarterbacks coach and OC who helped guide the likes of future HOFers Troy Aikman & Michael Irvin, along with tutoring QB Brian Sipe, All-World WR Sterling Sharpe, and All-World WR Calvin Johnson; Terry Shea: Highly touted and multi-faceted QB icon who helped develop the likes of Robert Griffin III, Blaine Gabbert, Josh Freeman, Sam Bradford, and Matthew Stafford who also coached in the CFL, UFL, XFL, and FXFL. PFL is excited to introduce Jerry Hardaway, who will help drive the scouting department for the Professional Football League. We are also very proud to announce that Coach Hardaway was recently voted in as the “only unanimous choice” inducted into OurLad's Pro Football Scouts' Hall of Fame. PFL’s elite football players will receive an opportunity to develop the physical and mental game skillset required to continue chasing their dreams of playing professional football. PFL teams will hold their inaugural draft in February 2018. Rosters will consist of players who have been recently released from professional team camps, and scouted players who are at least three years removed from high school. 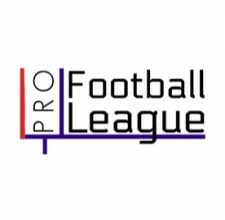 The Professional Football League (PFL) was founded in October 2017 and is set to launch its inaugural season in spring 2018 joined by an elite group of highly talented head coaches. Eight U.S. cities have been awarded first-year franchise teams. PFL aspires to be a steadfast resource for those who are interested in advancing their physical and mental game skillset necessary to continue chasing their dream of playing professional football. PFL strategies beyond the game will focus on players’ educational development, the development of game officials, league staff, management, and front office executives all with the goal of employment within the sports industries and leagues. PFL’s corporate league office will be located in Newport Beach, California. PFL team tryouts, the PFL player draft, and pre-season training will be held in Dallas, Texas.